Bimbo Bakeries USA and Nestlé Waters North America recently deployed new fleets of propane autogas delivery vehicles that will service multiple cities across the U.S.
"Becoming a better steward of our environment is a priority for Nestlé Waters," said Bill Ardis, national fleet manager for Nestlé Waters North America. "We've been running propane autogas vehicles since 2014. Because of the proven emissions reductions and cost savings, we knew it was the right choice to expand our fleet with this domestically produced alternative fuel." Nestlé Waters added more than 150 new Ford F-650 delivery vehicles to its existing propane autogas fleet. Bimbo Bakeries USA purchased 84 new, clean-burning Ford F-59 trucks. 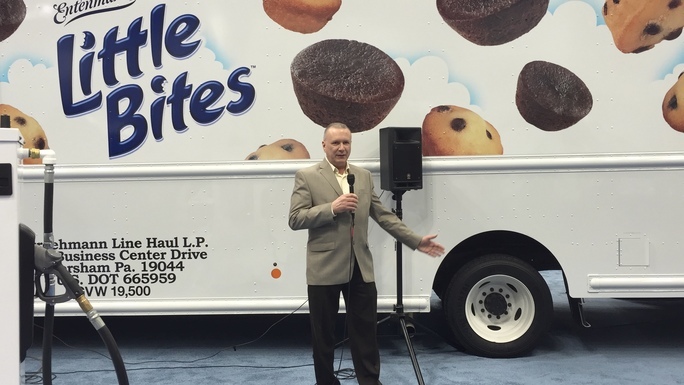 "This initiative is the latest in our company's continued effort to reduce our carbon footprint," said Gary Maresca, senior director of fleet services for Bimbo Bakeries. By operating propane autogas delivery trucks equipped with ROUSH CleanTech’s fuel system technology, both companies will cut carbon dioxide emissions in local communities by about 192,000 pounds per truck (compared to gasoline) per year. In addition to reducing the emissions of harmful greenhouse gases, Bimbo Bakeries and Nestlé Waters also anticipate fuel and maintenance savings. The new Ford F-59 and F-650 delivery vehicles will replace older diesel models. Propane autogas is a nontoxic, non-carcinogenic and non-corrosive fuel. The Environmental Protection Agency classifies the fuel as a non-contaminant. It is the leading alternative fuel in the United States and the third most commonly used vehicle fuel, following gasoline and diesel. About 23 million vehicles travel worldwide with propane in their fuel tank. Question of the Month: It's tax time! What are some common questions related to the federal tax credits for alternative fuels and infrastructure? Tax season is upon us, and the recent federal tax incentive extensions and changes impact the alternative fuel and infrastructure tax credits. The Consolidated Appropriations Act of 2016 (H.R. 2029, https://www.congress.gov/bill/114th-congress/house-bill/2029/text) retroactively extended several tax credits, including the Alternative Fuel Excise and Alternative Fuel Infrastructure Tax Credits. It also included updates to the calculation method for the Alternative Fuel Excise Tax Credit amounts, specifically for propane and liquefied natural gas (LNG). Below we discuss three recent frequently asked questions about these credits. The propane tax credit was previously $0.50 per gallon and is not $0.50 per GGE (1.353 gallons of propane), which equates to $0.37 per gallon. The LNG tax credit was previously $0.50 per gallon and is now $0.50 per DGE (1.71 gallons of LNG), which equates to $0.29 per gallon. Natural Gas Vehicles for America (NGVAmerica) provides additional information on federal tax incentives for LNG and CNG (https://www.ngvamerica.org/government-policy/federal-incentives/federal-tax-incentives), and highlights the impacts of the recent tax credit changes in the article, New Year Rings in Changes for CNG and LNG in 2016 (http://ngv.com/new-year-rings-in-changes-for-cng-and-lng-in-2016/). The National Propane Gas association explains the excise tax equalization for propane (https://www.npga.org/i4a/pages/index.cfm?pageid=1898). Yes! Both the federal Alternative Fuel Excise Tax Credit and Biodiesel Mixture Excise Tax Credit (http://www.afdc.energy.gov/laws/395) were extended to cover 2015, meaning that propane, CNG, LNG, hydrogen, and biodiesel sold or used in 2015 are eligible for the federal tax credit. To file for the tax credit, registered claimants must submit a single one-time 2015 claim with IRS Form 8849 (https://www.irs.gov/pub/irs-pdf/f8849.pdf), as well as the accompanying Schedule 3 (https://www.irs.gov/pub/irs-pdf/f8849s3.pdf). The deadline to submit a claim for fuels sold or used in 2015 is August 8, 2016. Please note that the tax credit amount for propane and LNG sold or used in 2015 is based on the previous, volumetric rate of $0.50 per gallon. For additional information on claiming the tax credit for fuels sold or used in 2015, please see IRS Notice 2016-05 (https://www.irs.gov/pub/irs-drop/n-16-05.pdf). While a tax-exempt entity, such as a school or state government fleet, may not be eligible to claim the Alternative Fuel Infrastructure Tax Credit (http://www.afdc.energy.gov/laws/10513) directly, the entity selling the fueling infrastructure to the tax-exempt entity can claim the credit and pass the "discount" along to the fleet. According to Title 26 of the United States Code, Section 30C(e)(3) (https://www.gpo.gov/fdsys/pkg/USCODE-2014-title26/pdf/USCODE-2014-title26-subtitleA-chap1-subchapA-partIV-subpartB-sec30C.pdf), the entity selling the fueling equipment to the tax-exempt entity can be treated as the taxpayer and claim the Alternative Fuel Infrastructure Tax Credit, but only if the seller discloses the amount of the credit allowable to the tax-exempt purchaser in writing. In practice, this means the tax-exempt fleet would have the opportunity to use this information to request a discount. However, the infrastructure seller is not required to pass along any savings associated with the tax credit. For more information on how tax-exempt entities may be eligible for the Alternative Fuel Infrastructure Tax Credit, please see the IRS instructions for Form 8911 (https://www.irs.gov/pub/irs-pdf/i8911.pdf). Question of the Month: Clean Cities uses a lot of acronyms. What are the most important ones to understand? EIA: Energy Information Administration: Collects, analyzes, and disseminates impartial energy information to promote sound policymaking, efficient markets, and public understanding of energy. DOT: U.S. Department of Transportation: A federal agency with the mission to ensure a fast, safe, efficient, accessible, and convenient transportation system that meets our national interests and enhances the quality of life of the American people, today and into the future. The Federal Highway Administration (FHWA) is part of DOT. EPA: U.S. Environmental Protection Agency: A federal agency with the mission to protect human health and the environment. Alternative Fuels Data Center: A web-based resource that provides information, data, and tools to help fleets and other transportation decision makers find ways to reduce petroleum consumption through the use of alternative and renewable fuels, advanced vehicles, and other fuel-saving measures. GVWR: Gross vehicle weight rating: A metric that includes total vehicle weight plus fluids, passengers, and cargo. GVWR is used to define vehicle classes. VMT: Vehicle miles traveled: VMT is the number of miles traveled by a vehicle or set of vehicles over a certain time period. MPG: Miles per gallon: The standard for tracking a vehicle’s fuel economy. MPGe: Miles per gallon of gasoline-equivalent: For vehicles that do not use liquid fuels, a measure of fuel economy that allows for a reasonable comparison between vehicles using different fuels. MPGe represents the number of miles the vehicle can go using a quantity of fuel with the same energy content as a gallon of gasoline. GGE: Gasoline gallon equivalent: The amount of fuel it takes to equal the energy content of one liquid gallon of gasoline. DGE: Diesel gallon equivalent: The amount of fuel it takes to equal the energy content of one liquid gallon of diesel. LDV: Light-duty vehicle: A vehicle under 10,000 pounds (lbs. ; Class 1-2). MDV: Medium-duty vehicle: A vehicle between 10,000 and 26,000 lbs. (Class 3-6). HDV: Heavy-duty vehicle: A vehicle over 26,000 lbs. (Class 7-8). GHG: Greenhouse gas: A global pollutant, meaning it has climate and other impacts globally, no matter where it is emitted. Carbon dioxide (CO2) is by far the most abundant GHG produced by the transportation sector. CO: Carbon monoxide: A colorless, odorless gas emitted from combustion processes. In the United States, 56% of CO (up to 95% in cities) is emitted by on-road vehicles. NOx: Oxides of nitrogen: A group of highly reactive gasses emitted from combustion processes that contribute to the formation of ground-level ozone. Approximately 55% of man-made NOx emissions come from motor vehicles. SOx: Oxides of sulfur: A group of highly reactive gasses emitted from combustion processes. SOx is a concern for life cycle analysis of electric vehicle emissions, but not for conventional or other alternative fuel vehicles, because electricity generation is the largest source of SOx. PM: Particulate matter: A complex mixture of acids, organic chemicals, metals, and soil or dust particles, emitted directly from vehicles (especially diesel) and formed through the atmospheric reactions of NOx and SOx. VOC: Volatile organic compound: Organic compounds that become a gas at room temperature. VOCs are the leading cause of ground-level ozone, also known as smog. AFV: Alternative fuel vehicle: Any dedicated, flexible fuel, bi-fuel, or dual-fuel vehicle designed to operate on at least one alternative fuel. B5: 5% biodiesel, 95% petroleum diesel: Considered diesel fuel and approved for safe operation in any compression-ignition engine designed to operate on petroleum diesel. B20: 20% biodiesel, 80% petroleum diesel: The most common biodiesel blend in the United States. B100: 100% biodiesel: Also referred to as pure biodiesel. HEV: Hybrid electric vehicle: Powered by an internal combustion engine (ICE) and an electric motor that uses energy stored in a battery. The battery is charged through regenerative braking and by the ICE. PHEV: Plug-in hybrid electric vehicle: An HEV that can be plugged into an electric power source to charge the battery. EV: All-electric vehicle: Uses a battery to store the electric energy that powers the motor. Batteries are charged by plugging the vehicle into an electric power source. EVSE: Electric vehicle supply equipment: Deliver electrical energy from an electricity source to charge a PEV’s batteries. E85: A high-level ethanol-gasoline blend containing 51%-83% ethanol, depending on geography and season. FFV: Flexible fuel vehicle: A vehicle with an ICE capable of operating on gasoline, E85, or a mixture of the two. FCEV: Fuel cell electric vehicle: A vehicle that uses electricity to power a motor, but produces its primary electricity using a fuel cell powered by hydrogen. RNG: Renewable natural gas: Also known as biomethane, a fuel produced from organic materials (e.g., waste from landfills, livestock). It can be compressed or liquefied, and is pipeline-quality gas that is compatible with conventional natural gas in vehicles. NGV: Natural gas vehicle: A dedicated, bi-fuel, or dual-fuel vehicle capable of running on CNG or LNG. LPG: Liquefied petroleum gas: A term used interchangeably with propane. GREET: Greenhouse gases, Regulated Emissions, and Energy use in Transportation: An ANL model that evaluates the energy and emission impacts of alternative fuels and advanced vehicles, the fuel cycle from wells-to-wheels, and the vehicle cycle through material recovery and vehicle disposal. AFLEET: Alternative Fuel Life-Cycle Environmental and Economic Transportation: An ANL spreadsheet tool that estimates petroleum use, GHG and air pollutant emissions, and cost of ownership of AFVs and conventional vehicles, using simple spreadsheet inputs. PREP: Petroleum Reduction Planning: An online tool that helps fleets create a comprehensive plan to reduce petroleum consumption and GHG emissions. VICE: Vehicle and Infrastructure Cash-Flow Evaluation: An NREL spreadsheet model for fleet managers to assess the financial soundness of converting their fleets to run on CNG. CAFE: Corporate Average Fuel Economy: DOT standards to improve the fuel efficiency and emissions of new on-road motor vehicles. CMAQ: Congestion Mitigation and Air Quality Improvement: A DOT program that provides funding for projects and programs to reduce transportation-related emissions. RFS: Renewable Fuel Standard: An EPA program that requires transportation fuel sold in the United States to contain a minimum volume of renewable fuels to reduce GHG emissions. RINs: Renewable Identification Numbers: Credits used for compliance with the RFS. CAA: Clean Air Act of 1970: Defines EPA’s responsibilities for protecting and improving air quality. CAA authorizes the development of comprehensive federal and state regulations to limit both stationary and mobile emissions sources. EPAct: Energy Policy Act: EPAct 1992 encourages the use of alternative fuels through both regulatory and voluntary activities that DOE carries out. It was amended several times, including via EPAct 2005. EISA: Energy Independence and Security Act of 2007: Aims to improve vehicle fuel economy and reduce United States dependence on petroleum. EISA includes provisions for the RFS and CAFE standards. ARRA: American Recovery and Reinvestment Act (Recovery Act) of 2009: Appropriates investments in energy independence and renewable energy technologies, including Clean Cities and other grant programs. Question of the Month: What types of incentives and laws did state legislators and others enact in 2015? State legislators, as well as governors and utilities, were busy in 2015 introducing and enacting new incentives, laws, and regulations related to alternative fuels, advanced vehicles, and other petroleum reduction strategies. Programs related to plug-in electric vehicles (PEVs) and natural gas vehicles (NGVs), along with the associated fueling infrastructure, were most common at the state level. The most common types of incentives established in 2015 were grants and rebates. 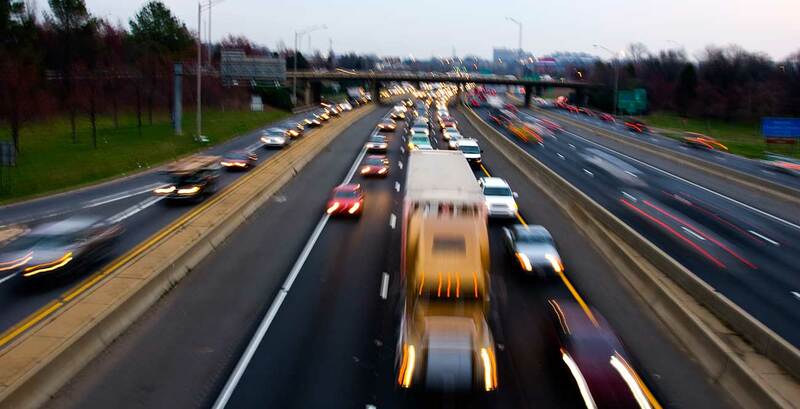 States leading the way in these areas include Delaware, most notably for its Clean Trasnportation Program rebates for vehicles and infrastructure. On the other hand, the number of tax incentives introduced at the state level decreased. In fact, Georgia repealed its successful tax incentive program. Aside from political and budgetary drivers, the decrease in new tax incentives may be the result of a call from industry to enact programs that will allow fleets and consumers to see their savings more immediately (e.g., rebates, vouchers). This would take the place of waiting until tax season when the financial benefit may get lost in other expenses and returns from the previous year. Utilities also continue to innovate and establish incentives that go beyond the typical residential charging infrastructure rebate and electricity rate discount programs. For example, Alabama Power offers and incentive to dealerships for each new PEV sale or lease within its service territory. Public Service Electric & Gas in New Jersey provides free electric vehicle supply equipment to qualified companies in its service territory for the purpose of workplace charging. Registration and licensing was the most common law and regulation topic, in part due to several states introducing fees for PEV registration to account for lost revenue from fuel taxes. Several states also continued to build on a movement that begain in 2014 and changes that took place at the federal level by enacting legislation to tax natural gas and other fuels on an energy (i.e., gasoline-gallon or diesel-gallon) equivalent basis. States also continued to set targets and requirements for their own fleets many of which go above and beyond federal requirements for alternative fuel vehicle acquisition. For example, Colorado Executive Order 2015-013 established fleet purchase and pricing requirements that prioritize NGVs, annual fuel use reduction targets on a vehicle-specific basis, goals for inter-agency coordination on petroleum reduction strategies, and commitments to workplace charging. For the most up-to-date information on incentives, laws, and regulations, the Alternative Fuels Data Center (AFDC) provides a searchable database of state and federal incentives, laws, and regulations related to alternative fuels and vehicles, air quality, vehicle efficiency, and other transportation-related topics. You can find information relevant to your state, and all others at http://www.afdc.energy.gov/laws.